In order to get to the point , start at the origin and move left units, then up units. in order to get to the point , move right units and up units. in order to get to the point , start at the origin and move right units and up units. In order to get to th point , start at the origin and move left units and up unit. 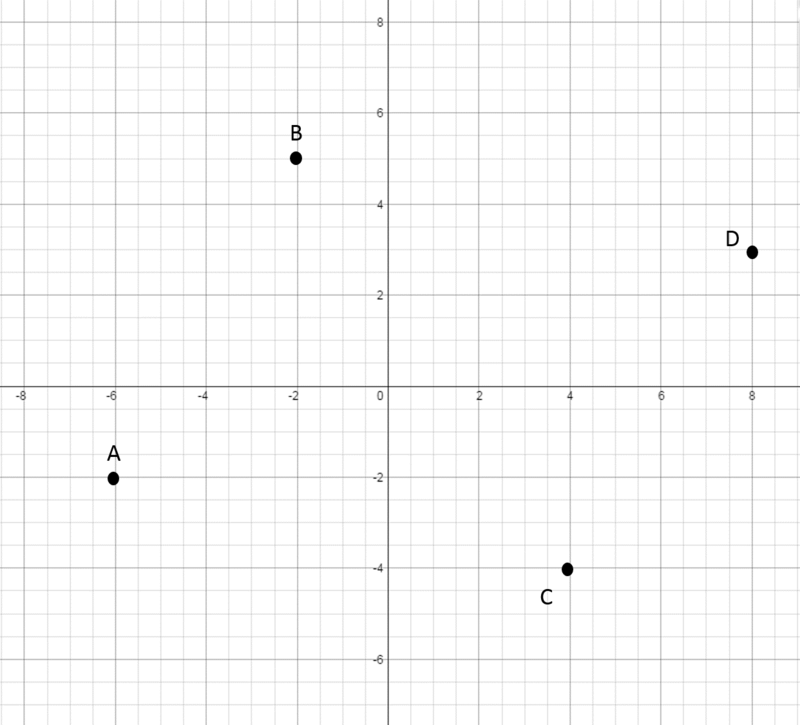 In order to get to point , start at the origin and move left unit and down units. in order to get to the point , start at the origin and move down units. 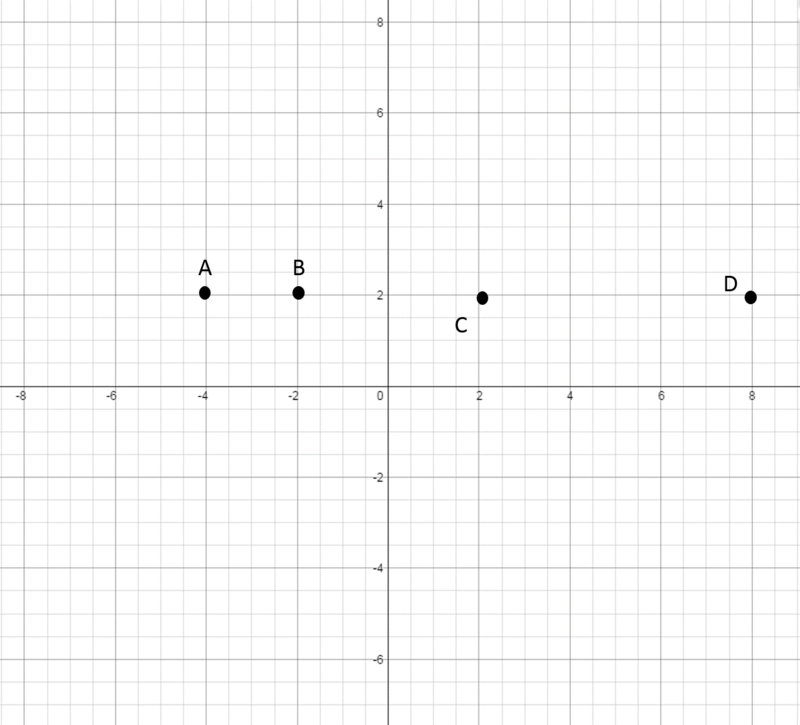 where the first number represents the x-coordinate and the second number represent the y-coordinate. 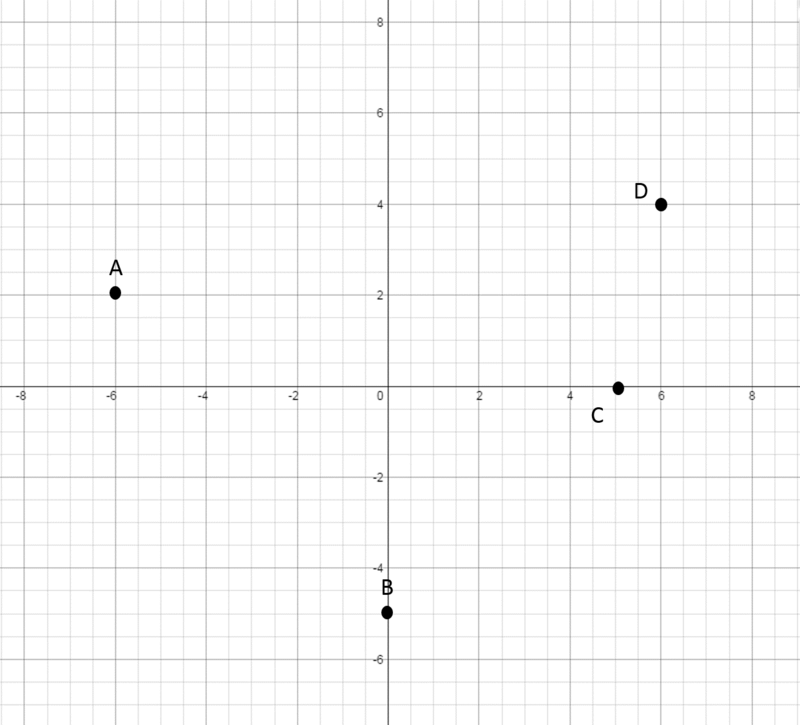 The x-coordinate is simply the position on the x-axis. 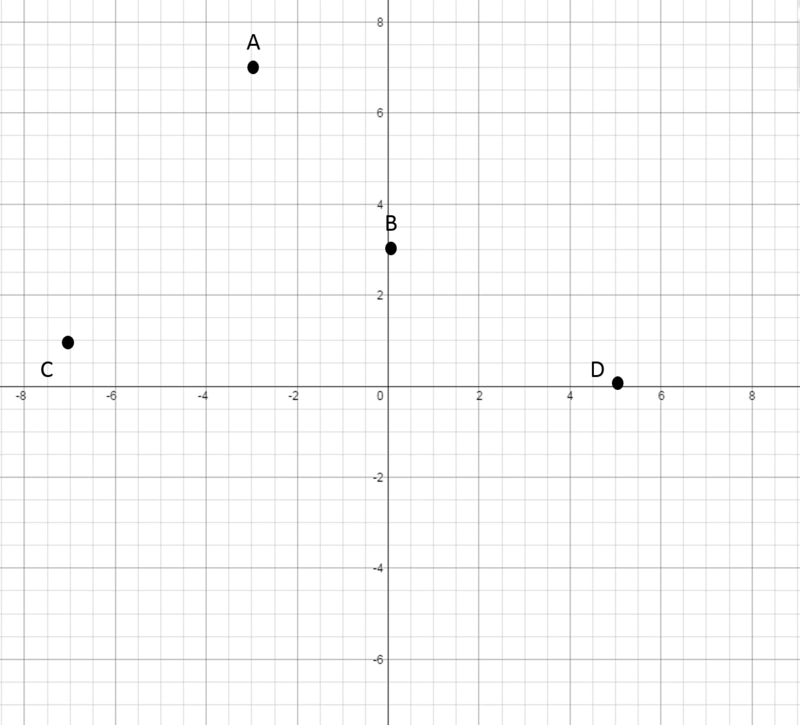 The y-coordinate is the position on the y-axis. 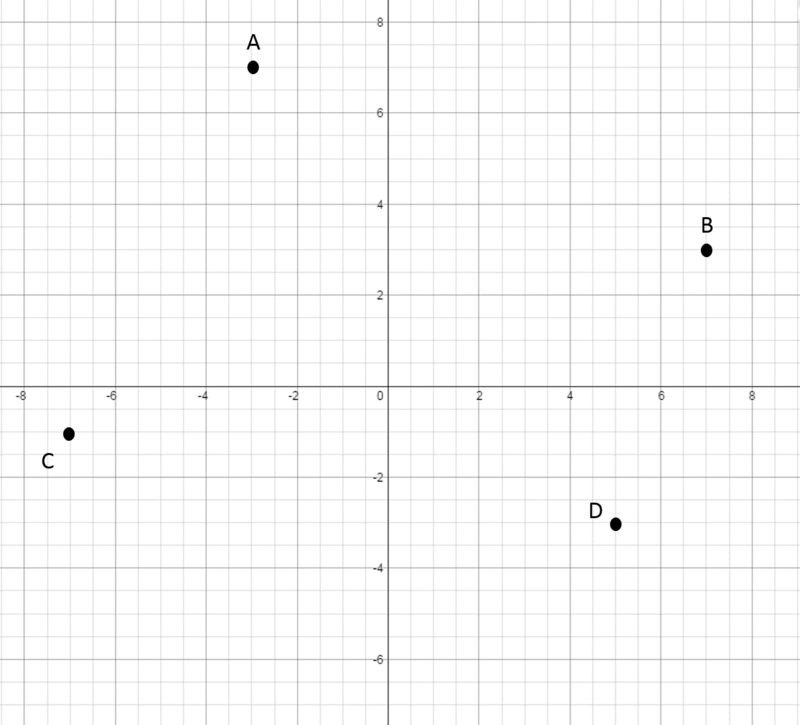 If we look at a coordinate plane, we can see where the x- and the y-axes are located. 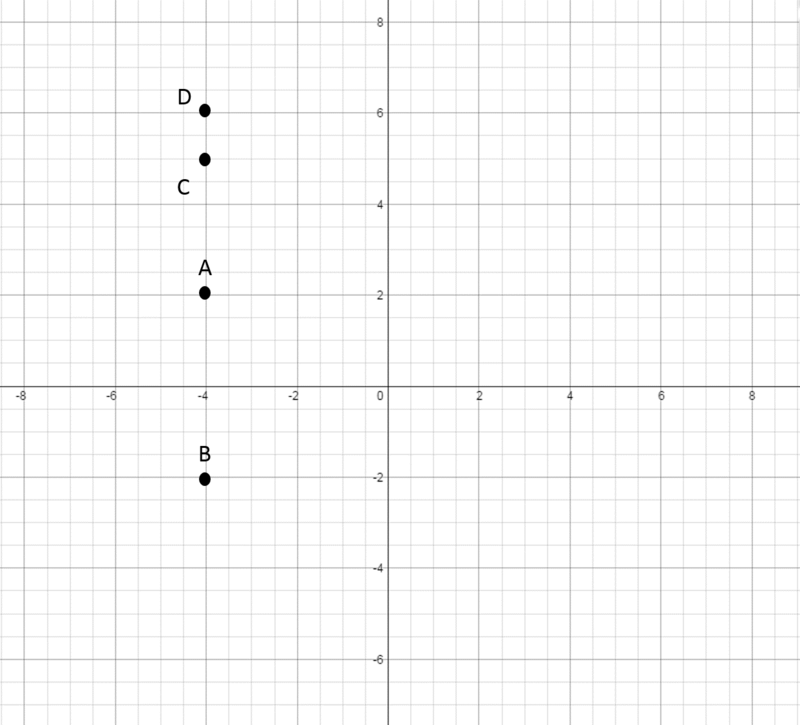 The x-axis is horizontal (going left to right) and the y-axis is vertical (going up and down). 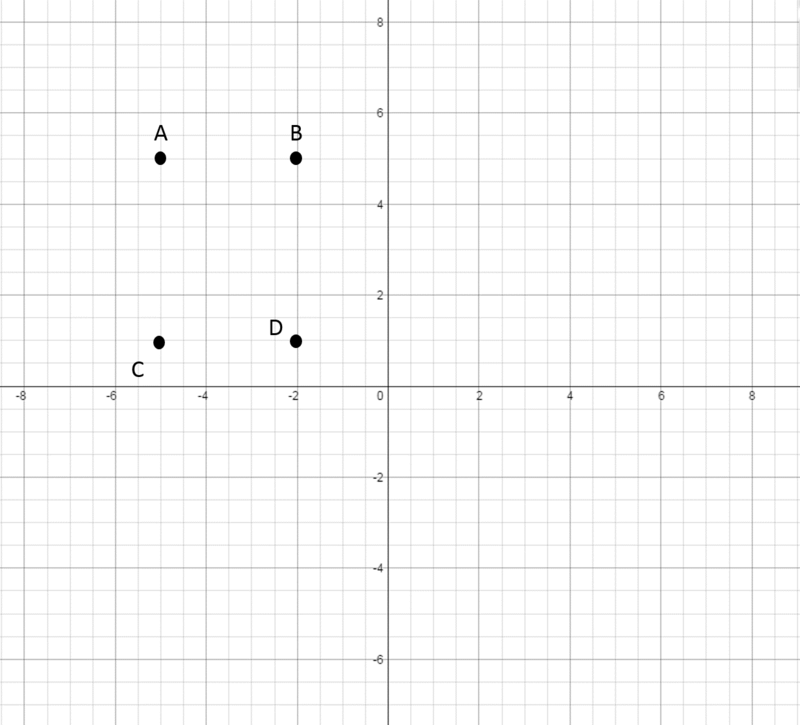 Now, when we graph the ordered pair , we locate on the x-axis. 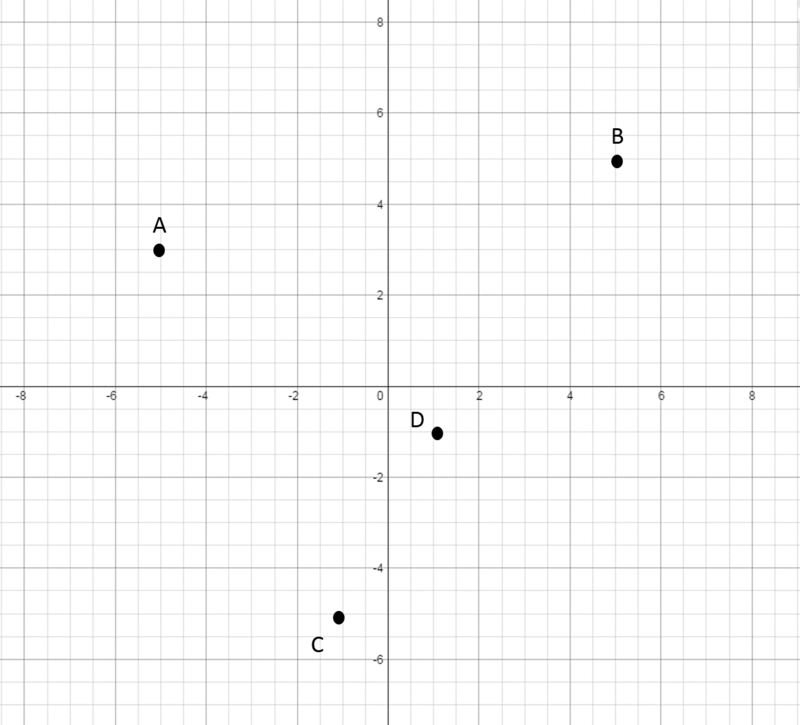 In this example, the y-coordinate is . From the current position, we locate on the y-axis. This is where we plot the point . In order to get to the point , start at the origin and move left units and up units.